The image, sentiment and patterned paper were both a gift from a very special crafty friend!! 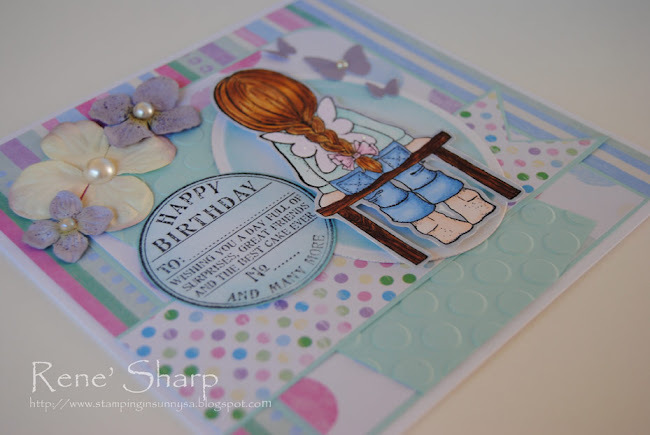 My card is also based on the latest sketch from Deconstructed Jen, I am LOVING the sketches from this site!!! Enjoy the rest of your weekend. See you back here tomorrow with my Project Life photos!! Wow, this is lovely René! Love your colouring!! 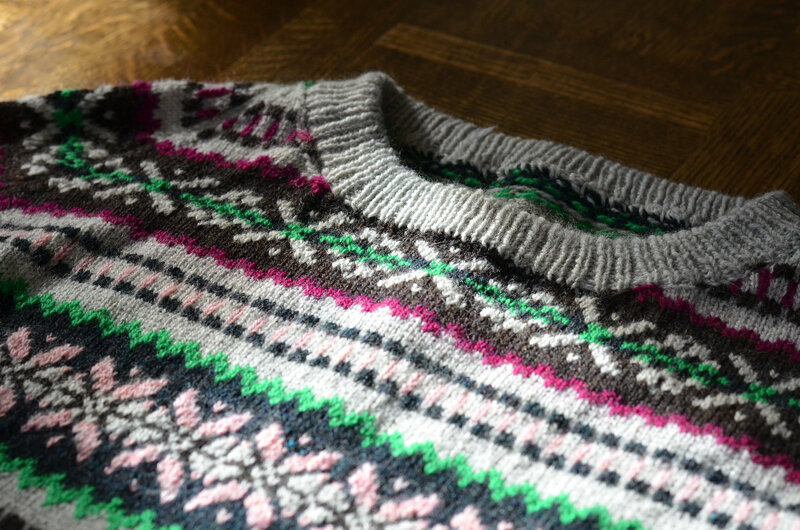 And your choice of colours and details is just perfect!! This is adorable! I love the soft colors and that sweet image! 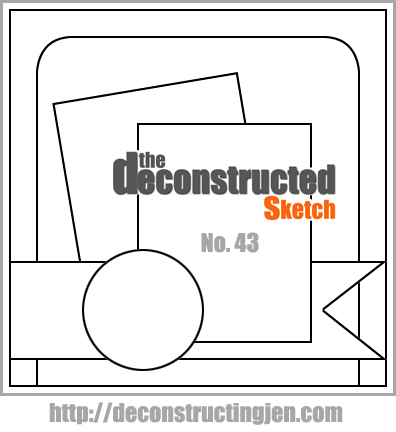 Thanks so much for joining us at the Deconstructed Sketch! Just beautiful! I love how the red hair pops! Thanks so much for joining us at Cute Card Thursday!